This blog is me musing. I mentioned the musings to a client and they said it was worth a blog. So… I’m not trying to conclude very much here. 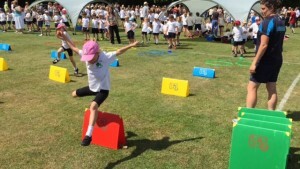 Am I one of the good parents at a sports day? Or am i becoming part of a problem, Pink asks? Should we ban parents from attending sports days and youth sports, to make it a parent-free zone? Yet I definitely would fall into his other category of mainly supportive parents, with a fair amount of stretch and challenge in the mix. Pink questions whether parents being on the sidelines will distract kids from the important reasons they’re there, namely the mastery of something difficult, the obligations to team mates – basically, the game itself. It happens inadvertently via the ongoing parent-child relationship that doesn’t cease even if Mum or Dad aren’t playing in the game personally. The need for the child to stand on their own two feet and figure out on their own, how to respond to successes and failures, rather than being in the forum of parents filtering everything and defining how to do everything. This did immediately resonate with me. It quickly made me question whether sticking with the masses is the best option, or taking a braver and trickier option would be better. Pink made me chuckle in the clip, referring to the lack of parents gathered at the back of classrooms watching kids solve quadratic equations, or showing up at each and every music band rehearsal. Now there is a differentiation to be made here I think – and potential age implications, too. 1) There is a big difference between attending every single sports practice weekly and going to the big games or annual school sports day. It means the difference between kids doing their own thing and developing independence with some caring support along the way – compared to being in a relentlessly focused on fishbowl. It does make me wonder about extremes of performance still though – would guys like Andy Murray and Lewis Hamilton have got to the levels of performance they have, had it not been for their intensely-driven mother and father respectively being fully behind them? And look at Andre Agassi – he was miserable for most of his life because of it. 2) The older a child gets, the more aware they’ll be of the social aspects of competition, winning and losing, and having parental support there or not. And, therefore, more sensitive to it. Well, I chose to go to the sports day because I figured for an annual event it’s absolutely fine and a good thing. Being conscious of how you go about parenting is key – rather than drifting along on autopilot. 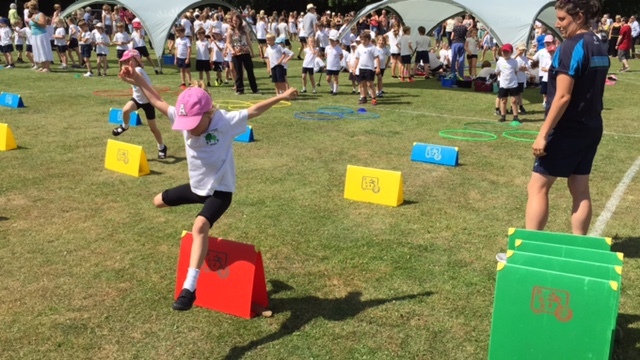 Interestingly at the sports day, I noticed that parents were actually commenting on how oblivious most kids were to their parents even being there. And I deliberately didn’t bring the point up – it just got discussed naturally. We got into conversation about it because the kids were so noticeably caught up in the moment. They were so focused on the task in hand. Even with the array of smart phones surrounding them filling their hard drives with video of each moment of action. They weren’t looking to the parents for continual communication or validation. It got me thinking about adult coaching and motivation. I rate Dan Pink, especially his work on Mastery, Autonomy and Purpose – click here. And, there are also tendencies for different characters to have more internal or external frames of reference – if you’re looking through an NLP enhanced lens. I see this aspect of the way people tick as an under-utilised aspect of coaching or leadership in general. Understanding where someone sits on this point helps with so many aspects of motivating them to perform, or to be happy and fulfilled. I.e To what degree do they value external opinion compared to validating their performance themselves? Another idea it fires off for me is one of ‘Delayed Gratification’ talked about by Peck in his seminal book The Road Less Travelled (Click here) He identifies the critical skill and discipline to put off getting what you want even when you could have it sooner, in order to achieve more lasting and balanced success – not just quick hits. This he applies to money, relationships, diet, career and more. I can see this concept applying to managing children’s expectations around winning and losing, and the degree of effort/practice that might be required. A lot has been debated lately in the press about some schools reducing competition and others increasing it… all in the pursuit of doing the right thing for the kids. Anyhow, my daughter’s House Colour didn’t win – they were knocked from their perch of last year’s victors. She looked gutted. I expect though, she’ll mention it several times in a dejected sort of way, and carry on determined to win next time as she appears to have quite a competitive streak. And, she’s only six, after all. Seeing them all working together, cheering each other on, with the teachers so proudly organising them all was certainly heartwarming for us – and I’m confident that it was also productive for the kids. I like the balance of activities the school puts on, allowing every kid to shine and be challenged through music, sports, art and a bunch of other disciplines. Each event also draws a different mix of parents who prioritise different things – now there’s another subject for debate! Meantime, I reckon it’s worth thinking about how we help our children to achieve their own peak performance – and whether with our encouragement we actually help or hinder them in future years.